Image of the Hybrid-mode horn antenna. The hybrid-mode horn employs dielectric material inside the horn to achieve low cross-polarisation and low sidelobes over a wide frequency range. When compared to corrugated horns – which are also popular candidates for wideband performance with reduced sidelobes - the horn may offer a simpler structure which is easier to design, analyse and manufacture. 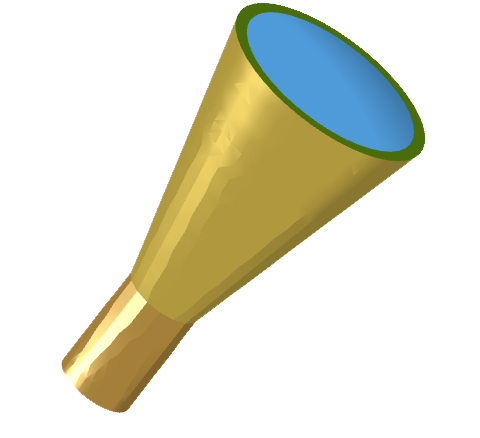 Dielectric losses, however, may be prohibitive (particularly at higher frequencies) and the gain that can be achieved will be lower than that of an un-loaded conical horn. 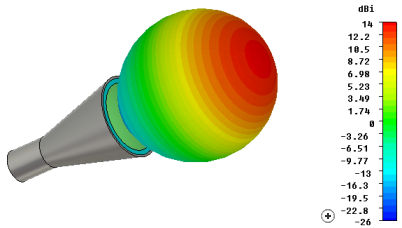 The typical radiation pattern of the dielectrically loaded conical horn is a rotationally symmetric single lobe. The hybrid-mode horn essentially comprises of four parts: a waveguide feed section, a conical flare, a spherical sector dielectric core and a dielectric wall. 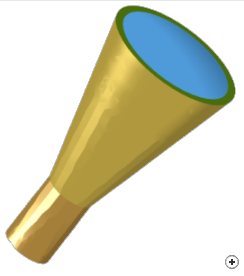 As with any conical horn, the flare section serves as a transition between the waveguide mode and the free-space mode. 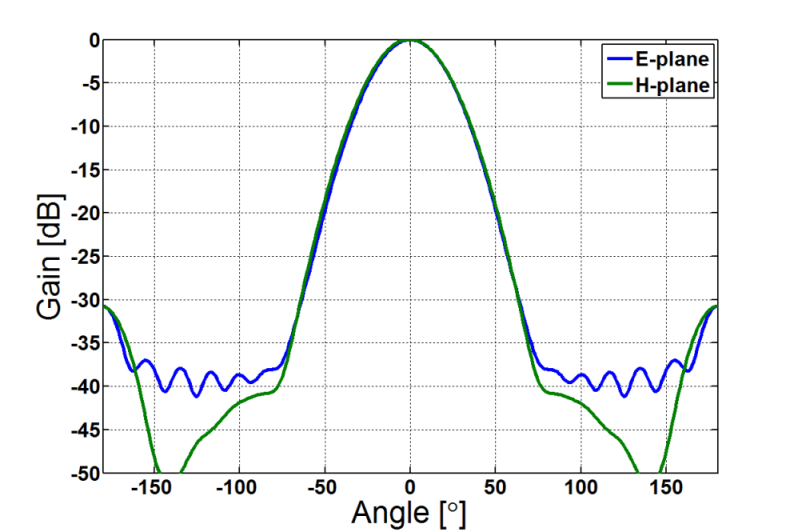 Pattern symmetry and good cross-polarisation performance are achieved by the design of the dielectric loading, allowing the structure to support the hybrid HE11 mode. 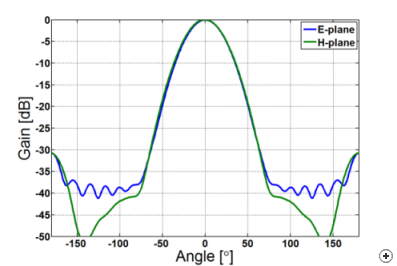 The surface of the dielectric loading in the flare aperture is shaped like a lens to achieve a plane phase front over the aperture. The typical E- and H-plane pattern cuts show the excellent symmetry and low sidelobes achieved by the hybrid mode horn.